the Pavement reunion is on – multiple nights @ Central Park Summerstage in 2010 + a tour? + Coachella? + ATP? 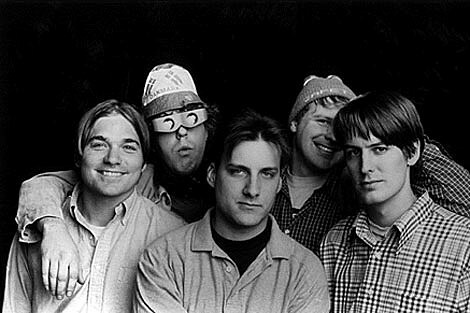 One of the most popular indie rock rumor topics of this decade is the reformation of Pavement. According to reliable sources, it’s finally happening in 2010! There will be multiple, possibly four, nights of shows at NYC’s Central Park Summerstage in September of that year. That could be part of a tour. That could be the end of a tour, the middle of a tour, or even the beginning of a tour, but it seems reasonable to speculate that they might make their official comeback at Coachella in April. It’s also time to start guessing who might be the big curator of September 2010’s ATP NY festival (the job Flaming Lips had this year, and My Bloody Valentine the year before that). Might as well put Pavement high on the list of possibilities for that too.